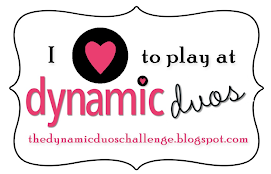 Thank you for the amazing week here at Dynamic Duos! We were blown away by the submissions using Crumb Cake and Soft Suede. So many beautiful projects with this color combo. Thanks for joining us and playing along! 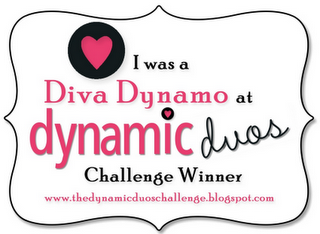 This is Anne Marie here, and I am thrilled to be choosing our Diva Dynamo for this week! 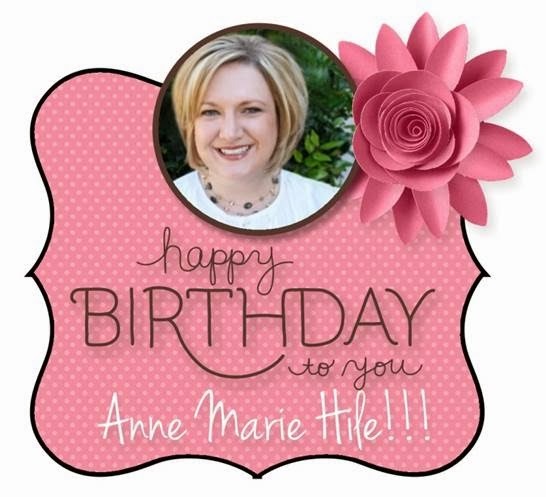 Broni's card stopped me in my tracks this week! Such a gorgeous mix of texture and dimension. 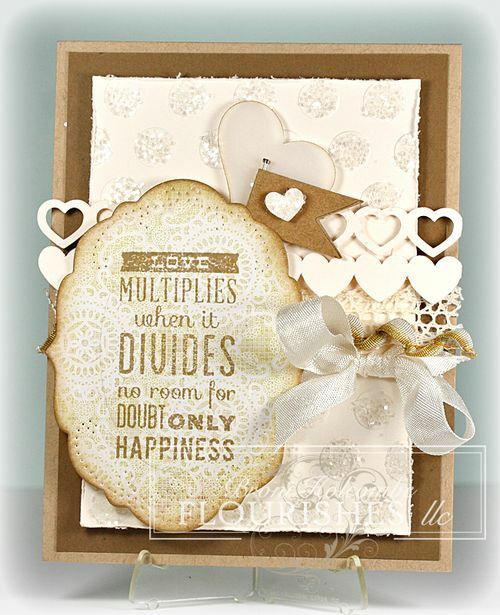 I just loved how the heart accents compliment the sentiment perfectly and the overall "shabby chic-ness" of the design. Absolutely stunning! 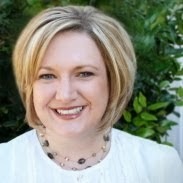 Congratulations to you, Broni on being my pick for our Diva Dynamo this week! The Design Team have chosen their favorites for the week, known as the Dynamic Darlings!!! 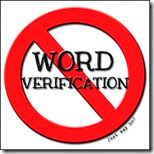 If you are a Dynamic Darling, please feel free to grab the badge below for your blog. Be sure to join us tomorrow for a "Bold and Sassy" challenge that we are sure you will enjoy. I am doing a happy dance, this was the first challenge I have ever tried! Honorable Mention!!! Thank you!!! So much fun!!! I will be trying some more in the future!!! Congratulations Broni- I love your textured card!! 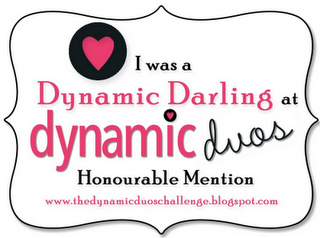 Congrats to the other Dynamic Darlings this week- all of your entries are gorgeous! I am so thrilled to have been included as a Darling among so many beautiful projects- thanks again Dynamic Duos for the weekly inspiration!! congrats to the winner and all the honorable mentions!! so very humbled to see my card my little card amongst the HMs! thank you so much vicki! Thanks so much, Christina for selecting my card for an Honorable Mention. Congrats to the other HMs on your gorgeous cards and to Broni - that card is stunning! These are some of the most beautiful cards I've ever seen! Congrats to all! Thank you Allyson so much for picking my card as a favorite! I'm truly honored!! Congratulations to all the talented artist who were mentioned and to Broni!